New at Dentistry of Johns Creek! Your smile is important. It’s one of the first things you notice when you meet someone. A whiter, brighter smile is beautiful – it can help you feel better about yourself and make a memorable impression. Your lifestyle and the aging process can stain and darken your teeth. Many things we do on a regular basis can contribute to stained teeth, such as drinking coffee, tea, cola and red wine or smoking. 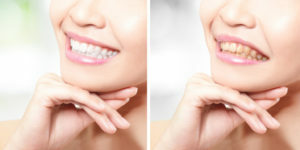 Now the team at Dentistry of Johns Creek in Suwanee, GA can deliver even better teeth whitening results. Only Zoom WhiteSpeed delivers maximum results, advanced LED light technology and variable intensity settings. The Zoom! In-Office Whitening System is a revolutionary tooth whitening procedure. It’s safe, effective and fast, very fast. In less than an hour, your teeth will be dramatically whiter. Zoom Whitespeed! Whitening is ideal for anyone looking for immediate results. This new technology has been clinically proven to whiten teeth up to eight shades in 45 minutes. That’s thanks to white speed’s advanced LED light technology, which emits at the optimal light spectrum with 100% greater light intensity than the closest competitive lamp. When combined with the pH booster in the whitening gel, this advanced blue LED technology greatly accelerates the whitening process, delivering the dramatic results you’ve always dreamed of. You’ll leave Dr. Shackelford’s office with a brighter, whiter smile!